1. 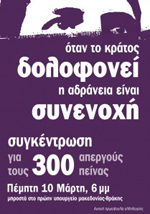 8th of June until 20th: Police raids in the trains in St. Dyonisios and in St. Andreas: more than 300 arrests! 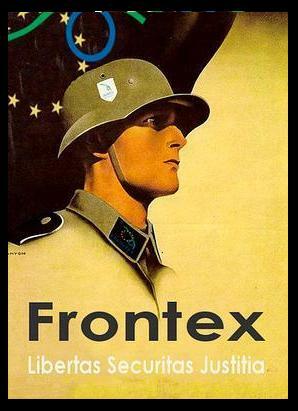 Some refugees were released others transferred to prisons in the region of Achaia prefecture or to Athens; destruction of baracks and belongings; cutting of water, beatings, police burned some personal belongings. 2. 26th-27th of July: At least 150 arrests. Only the ones with Pink cards were released, most others transferred to Athens. The arrests continued also in the jungles where the Afghan refugees live. EUOBSERVER / BRUSSELS – Migrants are often an unexploited asset that national governments should be using to help lift their economies out of crisis, EU home affairs commissioner Cecilia Malmstom has said. “Many member states have failed in migrant integration. There is so much competence around us, trained physicists, engineers cleaning our stairs, doing jobs they are clearly overqualified for,” Malmstrom told reporters when presenting the results of an EU-wide survey on the integration of migrants. Noting that integration is firstly a matter of local and then national authorities, with the EU able only to facilitate the sharing of good practices, she recalled how the region of western Sweden recruited 65 doctors among existing migrants who were working as bus drivers and in other jobs for which they were over-qualified. “With one year of language training and a little updating of their skills, these people were able to be hired as doctors. In the end it was much cheaper than educating for six-seven years someone, giving him or her training and waiting to have enough experience to be hired,” she said. But Malmstrom admitted that things have changed in the past ten years and that xenophobia is on the rise even in the traditionally migrant-friendly Scandinavian countries. “We can see out of the analysis that there is a fear of migrants. The scepticism towards migration is there and big,” she said about the results of the first Eurobarometer on migrant integration. Some of these negative feelings are related to bad integration, the feeling that migrants don’t make enough effort to learn the national language, the study shows. Malmstrom invoked economic and demographic arguments – that migrants are needed to fill the gap of a national working force going abroad, as is often the case in eastern European countries, and that of an ageing population in western Europe. With migrants having contributed, for instance, to 30 percent of Spain’s economic growth before the crisis hit, the commissioner insisted that migrants continue to be needed even as the crisis forced many Spaniards into unemployment. “Why should people pay for the collapse of the boom? Many businesses still say we can’t find people to do jobs such as picking strawberries,” she noted. 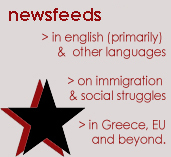 Amid budget cuts all over Europe, social programmes for migrant integration are often a preferred target. “Here is where EU money could help. I’ve proposed to the European Parliament for only two funds to be set up in the big home affairs area – security and migration – to replace the existing six funds with six different legal bases,” the commissioner said. SIALKOT: In a tragic incident, six Pakistani migrants died of suffocation in a sealed container in Iranian city of Shiraz as they were being illegally smuggled into Greece. The deceased were residents of Daska town of Sialkot district. According to reports, six young men paid Rs.400, 000 each to an agent for entering Greece. They were packed inside an airtight container. On their way to Greece in Iran, they suffocated in the container. According to victims’ families, they left for Greece on July 11. Mourning scenes were witnessed at the deceased’s homes in Daska. On Friday July 15 at dawn, a group of 30-40 fascists, armed with iron bars and knives attacked 4 immigrants outside an arabs’ café in the neighborhood of Neos Kosmos in Athens. The fascists had set up an ambush waiting for the immigrants to close the café and come outside in the street. 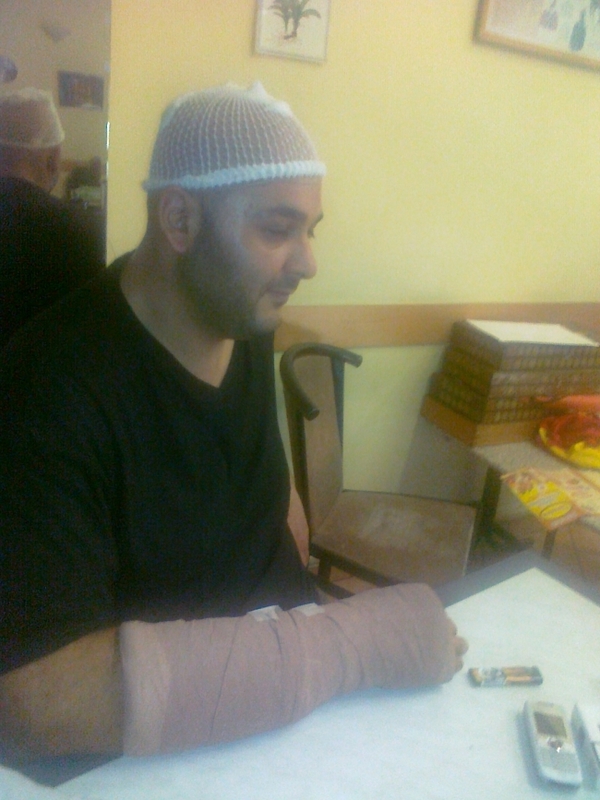 The police did not arrest anyone from the fascist gang, but arrested the 4 immigrants – victims of attack! One immigrant was stabbed in the leg and the other three injured in the head. All 4 immigrants were taken to hospital. Two of them got arrested because they did not have papers. The attack happened just days before a racist attack in Kalamata,where an abandoned house squatted by immigrants was burnt down. Athens, July 21 – Greek authorities have arrested around 100 migrants without papers on a sailboat off the port of Astakos in the Ionian sea, harbor police said Wednesday. “All the migrants are in good health,” a police spokesman said, adding that the boat, the Notos, was probably on its way to Italy. According to the newspaper “ΤΑ ΝΕΑ” the operations for the construction of the 12,5 km long border fence at the borders between Greece and Turkey at Evros river, near Nea Vissa village, have already started, by making 18 holes where poles will be placed. The poles will support the double wired steel fence and the thermal surveillance cameras. The fence will be consisted by double wire with a corridor between, where there will be police patrols (like the fence in southern Spain Ceuta and Melilla) and will be of 3m height. It is aimed that the fence will incorporate all the 23 border “pyramid towers” inside the river Evros so all of this part of the border will be controlled. According to the ministry of “Protection of citizen” the cost will not exceed 5 million euros. Since the construction of the fence was announced half a year ago, sans papiers immigrants have sifted the crossing of river Evros from the area of the Nea Vissa village to the area near the town of Soufli. The local authorities as also those of western Greece do not accept the creation of detention centers at their regions. Last Friday (July 15) Goulam Bamper Khan, a 27-year old immigrant from Pakistan, was found dead in the new detention center of Elliniko (close to Athens). He had asked for a doctor repeatedly, but the only thing the detention center authorities did was to notify an unskilled member of a NGO, who just prescribed some medicine. Hours after this so-called medical examination, Goulam Bamper Khan fainted. Other inmates asked for an ambulance, but this was considered “not necessary”. Finally Goulam Bamper Khan died. Immediately riots broke out, as 98 inmates started shouting and pushing their cells’ doors. Riot police entered the detention center, chose 8 immigrants and started beating them up “to give a lesson to the rest”.